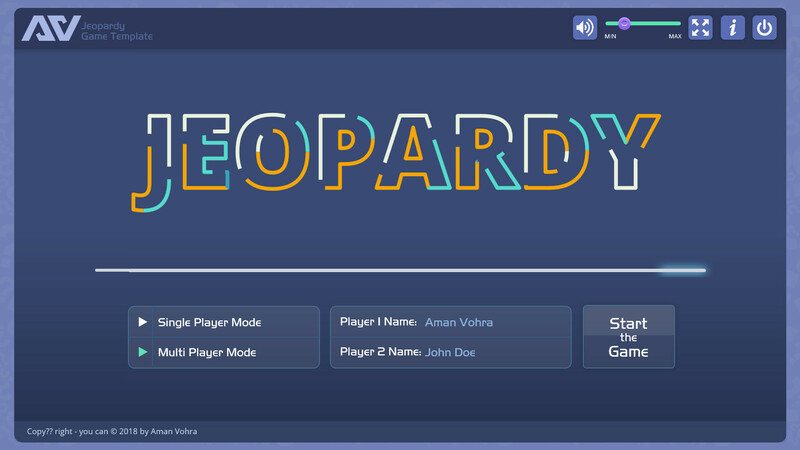 Created a Jeopardy game for this weeks eLearning heroes challenge #209. 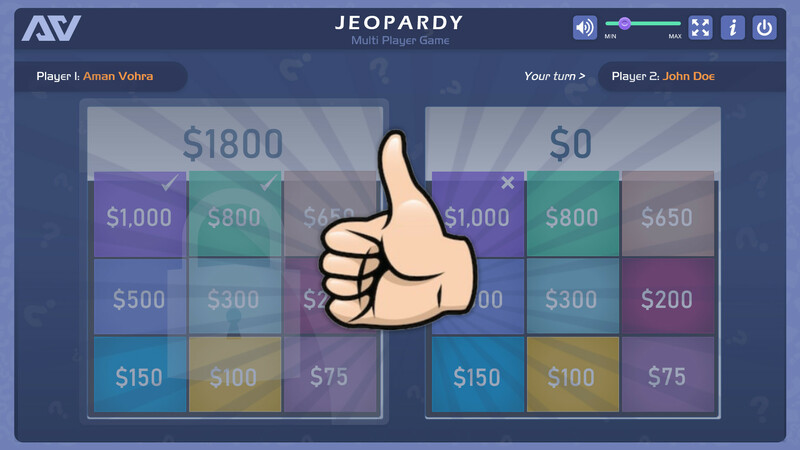 Single Player Mode: that allows a single player to accumulate the maximum $ amount by answering random questions correctly. Multi Player Mode: that allows two players to compete with each other and the player with maximum $ amount wins. Once the player selects the game mode, he will be asked to enter the player(s) name(s) and “Start the Game” button will appear (as shown above). 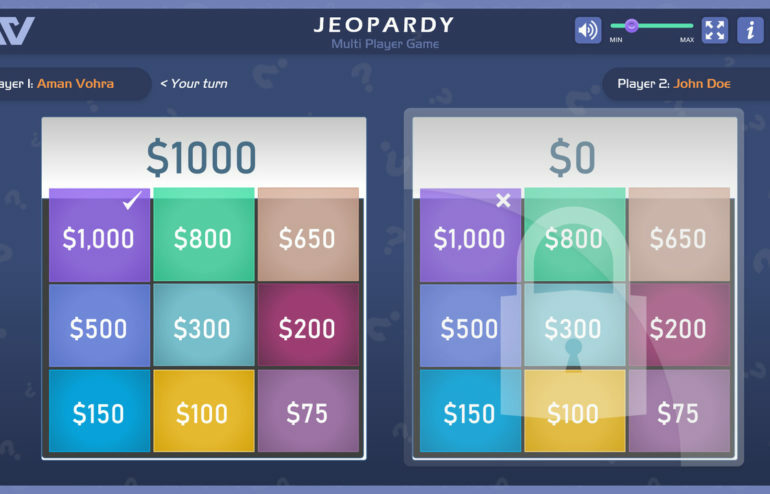 Based on the mode selection, clicking “Start the Game” button will take the player to the next slide that contains Jeopardy board(s) with various $ amounts. 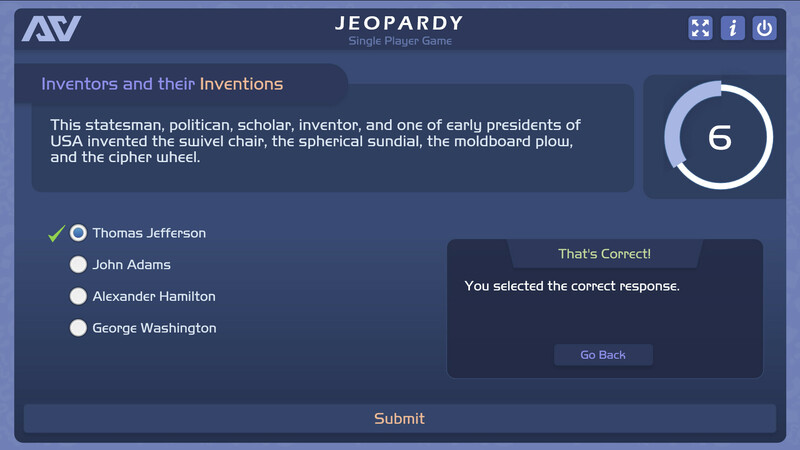 On selecting any $ amount, a layer pops up with 6 categories, out of which only two (General Knowledge and Inventors and their Inventions) are functional in this sample game. Both the above categories are linked to their own separate question banks. Each question bank contain 30 questions which are being fetched randomly. These questions are storyline’s default multiple choice graded questions. 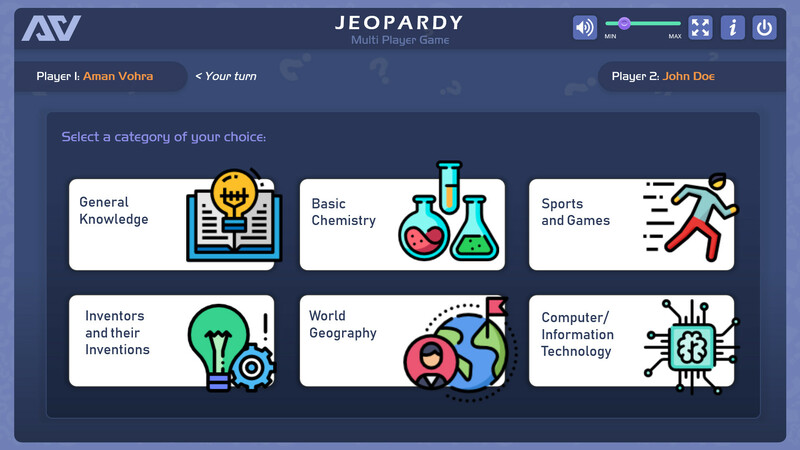 In order to increase the difficulty level, added a 15 second timer to each question. The player has to answer within the stipulated time. In case of multi player mode, the players get a chance to select the $ amount and answer the questions turn by turn. If the player answers the question correctly, a thumbs up sign pops up and later a tick mark appears on top right of the selected $ amount else a thumbs down sign pops up and later a cross mark appears.